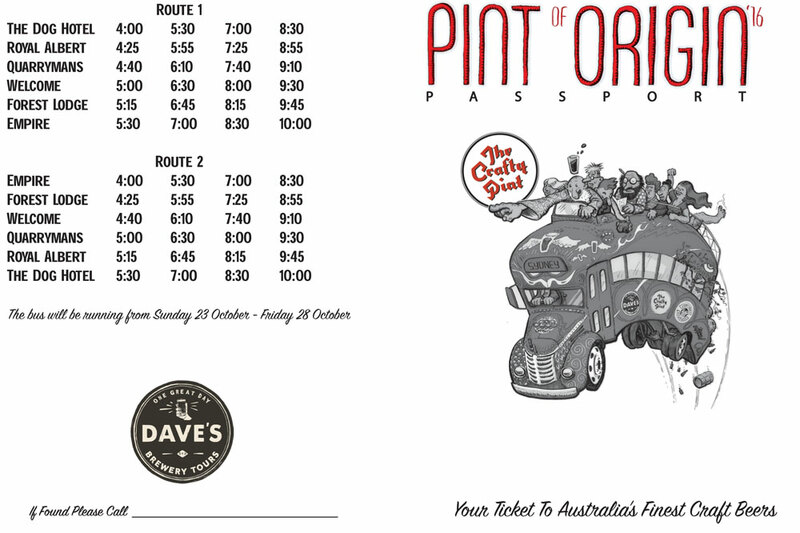 Pint of Origin has been The Crafty Pint's corner of Melbourne's Good Beer Week for the past five years and now it's making its Sydney Craft Beer Week debut. The concept is simple: six of Sydney's best beer venues become a host for a particular state's brewers (with ACT appearing within New South Wales) for the duration of the festival. The six venues and their respective states are listed below. Click on the venue name and you'll be taken to their page here on Crafty complete with more on their Pint of Origin plans – including PoO-themed events and casual Crafty Pint hosted Meet the Brewers sessions – as well as up-to-date tap lists. If you're attending Pint of Origin at Sydney Craft Beer Week, make sure you've got Now Tapped on your phone as we're running a competition to win beer and bar vouchers. The more venues you visit, the more chances to win. 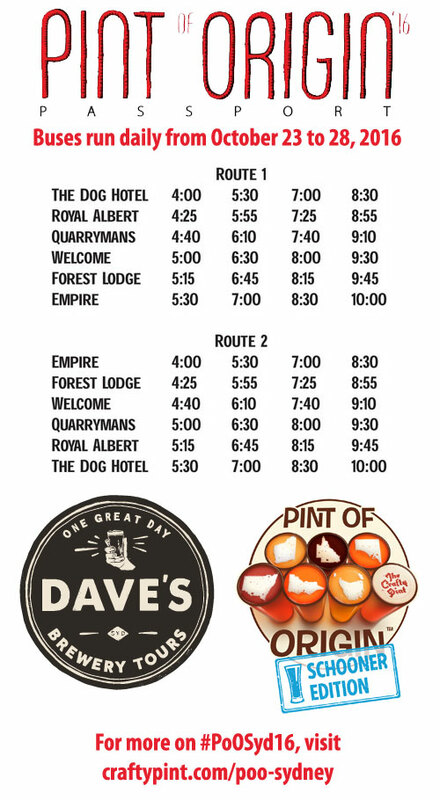 And if you want someone to get you around from venue to venue, Dave's Brewery Tours is running shuttle buses. 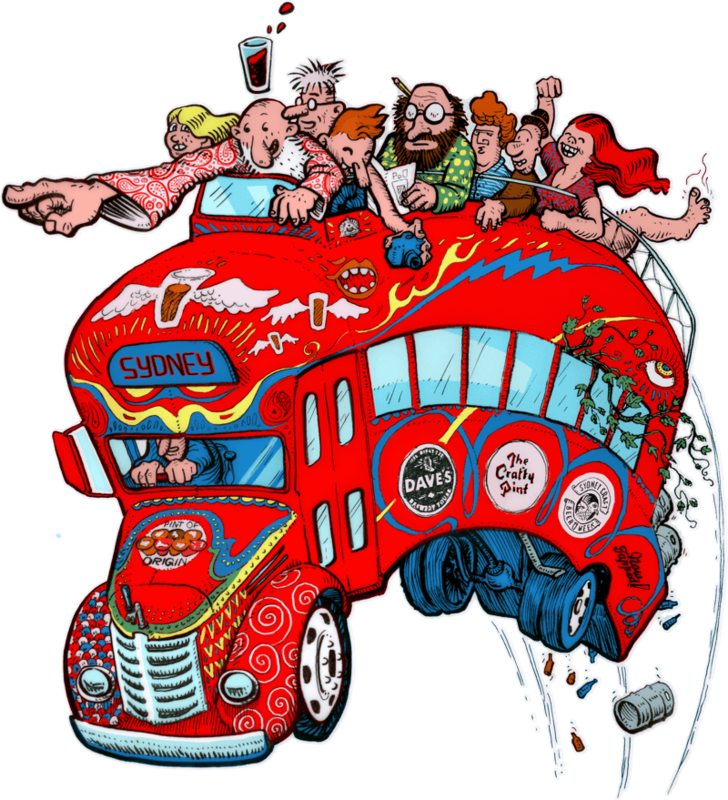 Grab your bus pass and PoO Bus t-shirt from any of the six venues before SCBW kicks off. You can find the times for the buses here. Look out for Crafty Cabal offers too – and use the hashtag #PoOSyd16 when documenting your adventures.